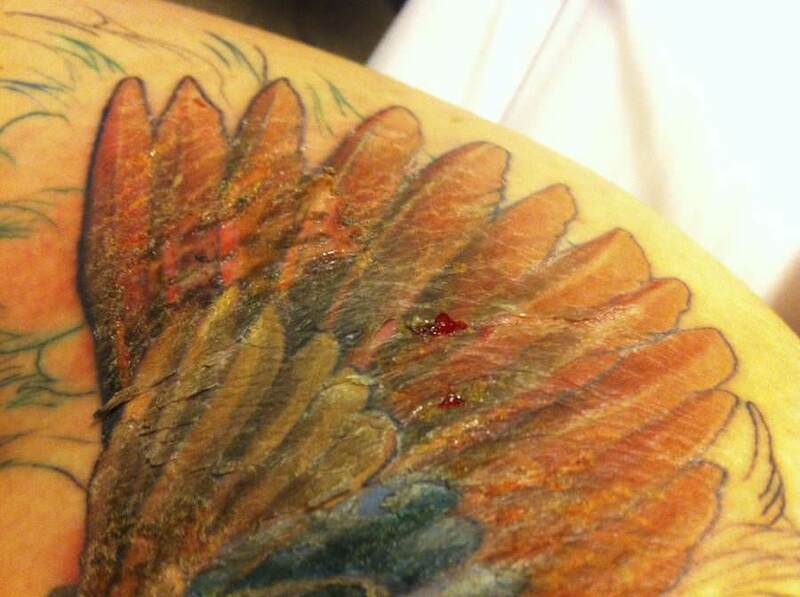 During the initial healing stages, all tattoos will scab over within 5-10 days, and this is completely natural. However, tattoo cracking is something you should definitely try to prevent - and this article is going to help you to achieve this. What Is Tattoo Cracking And Why Does It Happen? 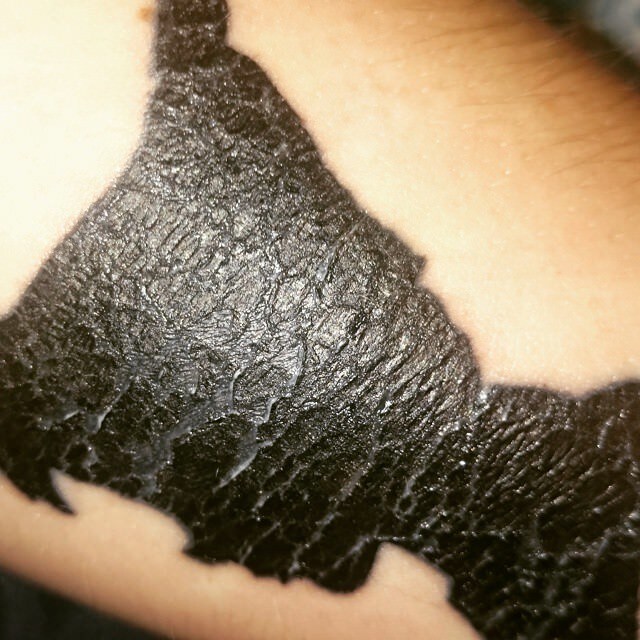 When your tattoo begins to scab over in the healing process, the area around the tattoo generally becomes extremely dry (and also very itchy). Some tattoos will scab very lightly where the scabs are hardly visible and some will scab heavily, with thick prominent scabs. When the scabs lose all amounts of moisture within them, they will become so dry that they begin to split, break apart, and often bleed - this is what is known as tattoo cracking. 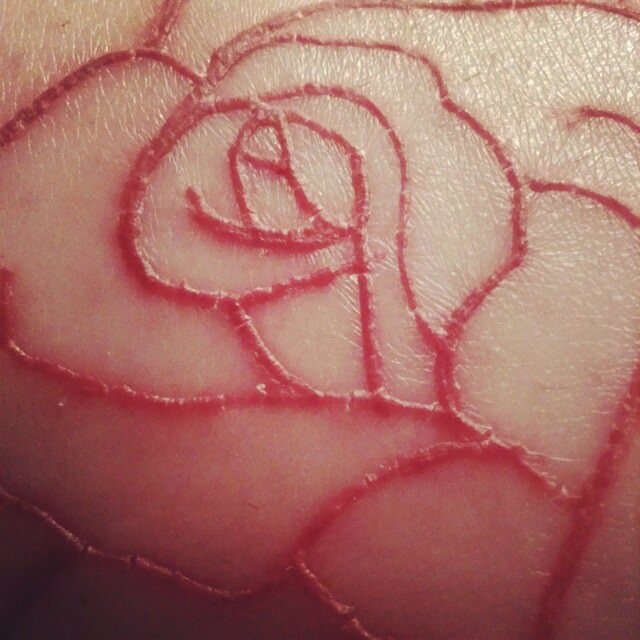 The more thick, dense scabs that your tattoo has, the more likely it will be for them to dry out and begin cracking. Bigger, thicker scabs always seem to dry out more often than smaller ones, and they are also much more prone to getting caught on objects and clothing and getting ripped away from your tattoo prematurely - so be extra careful if your tattoo has lots of big scabs currently attached to it. 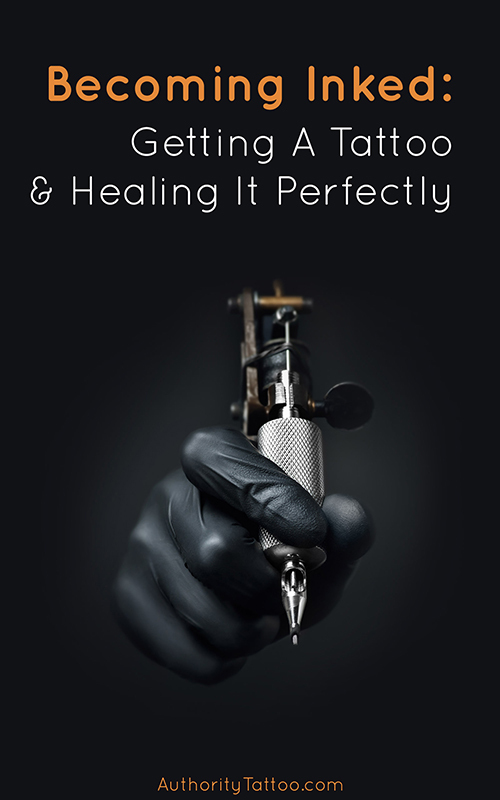 Getting scabs pulled/picked/ripped off before​ they are ready can delay healing times, make your healed tattoo look patchy and faded, and can even cause infection, so try and prevent this from happening as much as possible. Although a few large scabs on a tattoo is relatively normal, a tattoo covered in huge thick cracking scabs ​can mean that your tattoo artist was a little too heavy-handed and treated your skin a bit too rough during the tattooing process. Your tattoo will only be as healthy as the skin that it's on. In order to give your skin/tattoo the best chance of healing, it's ​best to eat a healthy, balanced diet to ensure that your skin receives all of the vitamins and nourishment that it requires in order to stay healthy, scab over and regenerate successfully. Similarly, you should drink plenty of water each day to ensure that your skin remains tight, springy, and most importantly, well hydrated. 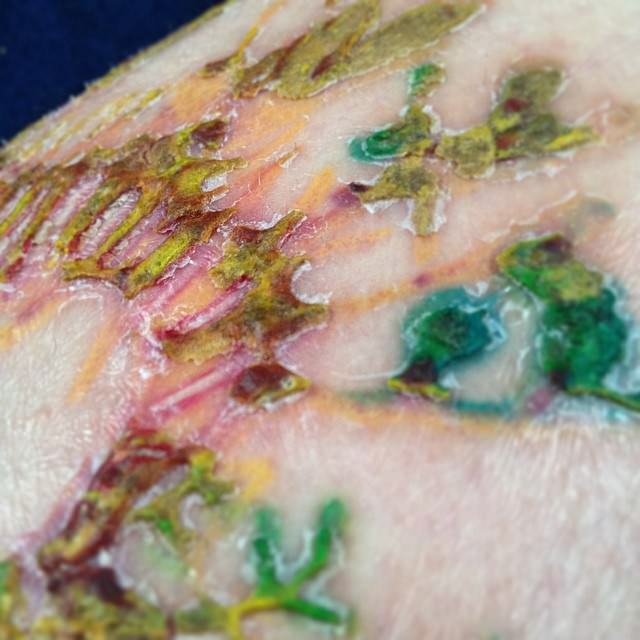 Sometimes, the cracking of the scabs on your new tattoo can be a symptom of a skin infection. This happens when your wound hasn't been kept clean efficiently and bacteria has managed to get into it. If your tattoo is infected, then along with cracked skin, your tattoo may be accompanied with a rash, oozing spots/sores, and more general symptoms such as a fever. If you suspect that your tattoo may be infected, it's always best to speak to either your tattoo artist or a doctor to get a professional opinion as quickly as possible. If your tattoo has begun to crack, or if you're worried about it beginning to crack in the future​, then it's best to start applying a good skin-sensitive fragrance free cream or tattoo lotion onto the area 2-3 times a day. Always ensure that you apply the lotion/product after cleaning your tattoo, as warm water can dry the area out even more. You will only want to rub a very thin layer of lotion over the area to ensure that you don't suffocate the healing skin by staving it of oxygen and air. 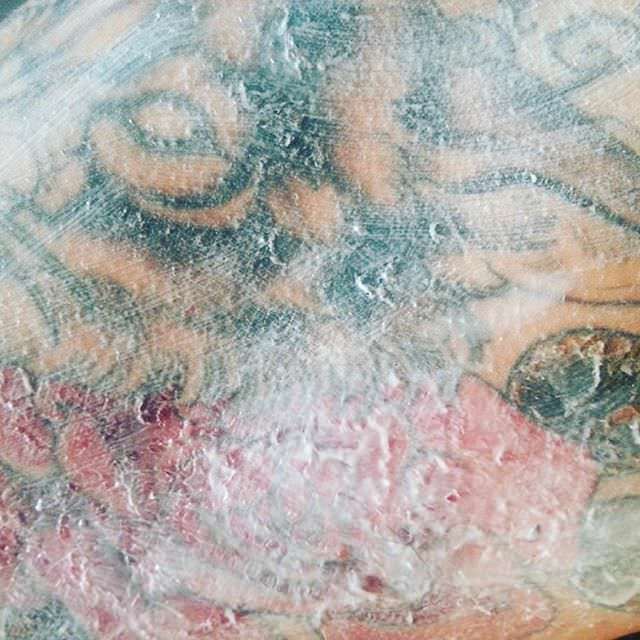 Applying too much lotion can also cause something called tattoo bubbling - especially if you apply large amounts of lotion to your cracked tattoo before it is completely dried after washing it. You can also try to prevent thick scabs from appearing by ensuring that you thoroughly clean your tattoo the first few days after getting it done. By making sure you continue to wipe away any oozing blood/ink/plasma within these first few days, you're preventing any large buildups which could otherwise eventually form into thick scabs. 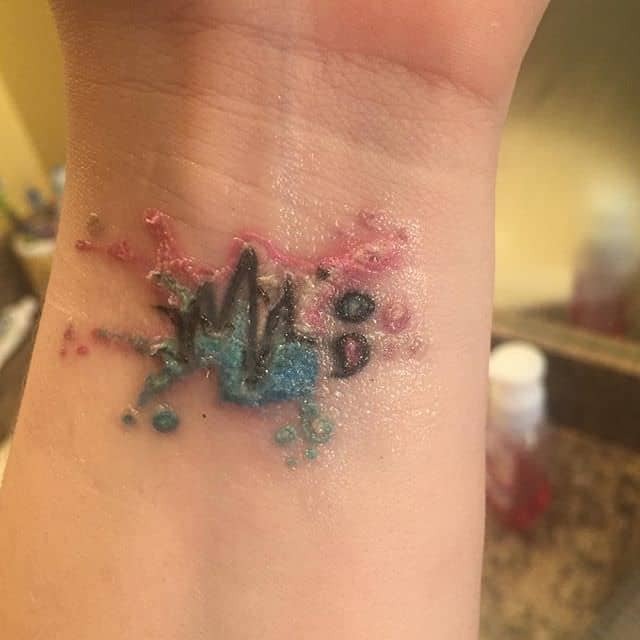 As you can see, tattoo scabs that get so dry that they begin to crack is definitely not desirable, and is something that you should definitely try to prevent. Scabs that fail to get enough hydration and therefore begin to crack can potentially open up and begin to bleed and pull away prematurely, which often causes appearance issues with your tattoo even after it has healed. 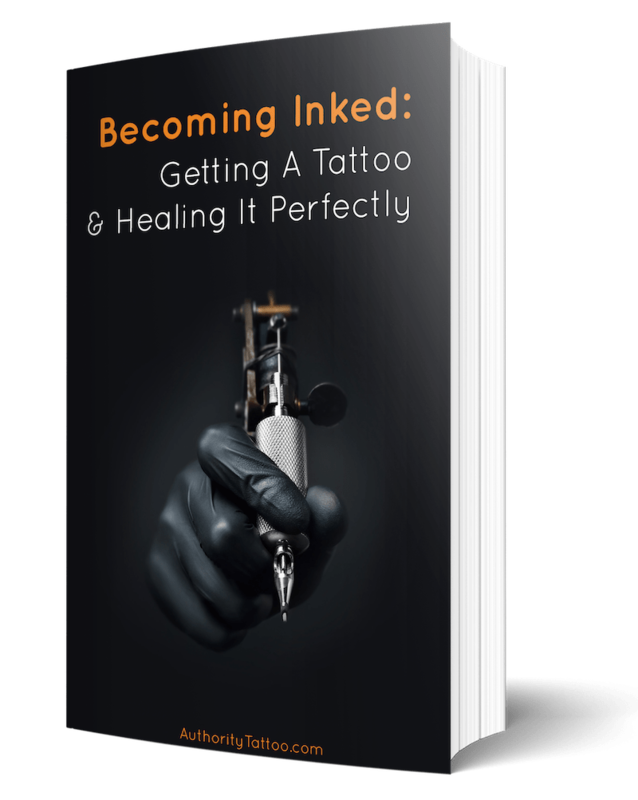 However, by following the steps outlined above, hopefully you can go on to have some beautifully healed, perfect looking ink with no tattoo cracking in sight.